I'm a bit of a sucker for found images. I have a modest collection, photographs forgotten in the pages of books and discovered during my days working in used book shops -- an awkward corporate meeting group portrait, beautiful Kodachrome images of children who are now my parent's age, a surprise Polaroid of a guy on the can. But none of my discoveries have the continuity of the images collected by KesselsKramer and featured in the In Almost Every Picture series, which likely accounts for my increasing love for these books. 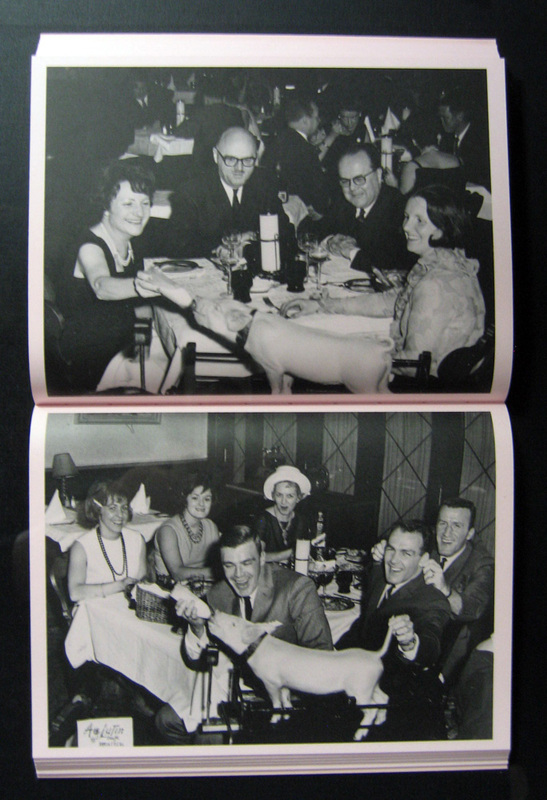 Each volume features a series of images linked by subject matter. Printed in intimately sized, well-designed softcovers, the series has now expanded to its tenth volume. Each is a small mystery -- the viewer slowly piecing together the information revealed through these collections of found vernacular images. Fascination in the series seems to be broadening, as some of the books are now out of print. The first book presented dozens of photographs of a woman taken by her husband, vacation photos with a strikingly similar pose, the wife, standing center frame, her hair, clothes and the backgrounds changing over decades. They are an odd collection, so carefully taken, each scene so specifically preserved, but the husband's presence is only as a photographer. The images were found at a flea market, and as with every collection discovered this way, KesselsKramer note that they will gladly return the photos should a rightful owner make themselves known. The second volume featured a different kind of story -- images shot by a taxi driver of a female passenger and the car, frequently stopping to photograph their journey. Book three collects images of animals captured by a motion sensor camera -- deer and a variety of small creatures wander by behaving as humans seldom see them. In volume four we see a series of images of fraternal female twins, meticulously dressed and identically styled. Taken in Barcelona during WWII, the final picture features just one of the young women, standing off center. Next was the first book in an apparent series trend -- documentations of pets, shot by their loving owners. Book five shows a family's love and pride for their dog, experimenting with different film and lighting to photograph the beautiful dalmatian. In book six, over 60 years of a woman's passport photos, 75 in all, creating a sparse long-term portrait of a woman captured in a tight photographic frame. Book seven is one of my personal favorites -- another long term portrait series, this time of a Dutch woman at a fairground shooting gallery. Starting at age 16, she began a tradition of hitting a target and triggering a photograph to be taken that was then given to her as a prize. She managed to return almost yearly to the fair over the next 70 years. It's a remarkable series of photographs, the world changing around her as she remains still and focused, hitting the bulls-eye every time. Book eight borrows images from a blog and familiar early 2000s internet meme -- a picture with the text “I have no idea what you’re talking about… so here’s a bunny with a pancake on its head.” Deeply loved by his owner, Oolong was the star of daily blog posts depicting the rabbit with strange objects balanced on his head. Book nine features another pet, this time a black dog, and a family's long attempt to take his picture. Throughout the set of photos, the dog appears as a strange dark form, fluffy and canine-shaped, but faceless. After years of effort, the book concludes with some successful pictures of the animal, his owners finally figuring out how to photograph him. Which brings us to the latest edition, book ten. Entirely pink from cover to cover (and all 148 pages), book ten is a strange detective story yielding a surprising amount of similar images. 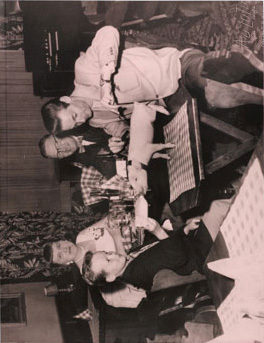 Sorting through his family's photo-archive, photographer Michel Campeau discovered a picture of his mother hand-feeding a piglet in a restaurant. The image came with no explanation and stuck with Campeau. Years later, he encountered a similar photograph and concluded that if there were two, there were likely more. After casting a wide net for these souvenir images, Campeau was surprised to get hundreds of responses and ultimately collected over 200 of these images, the best of which are reproduced here.